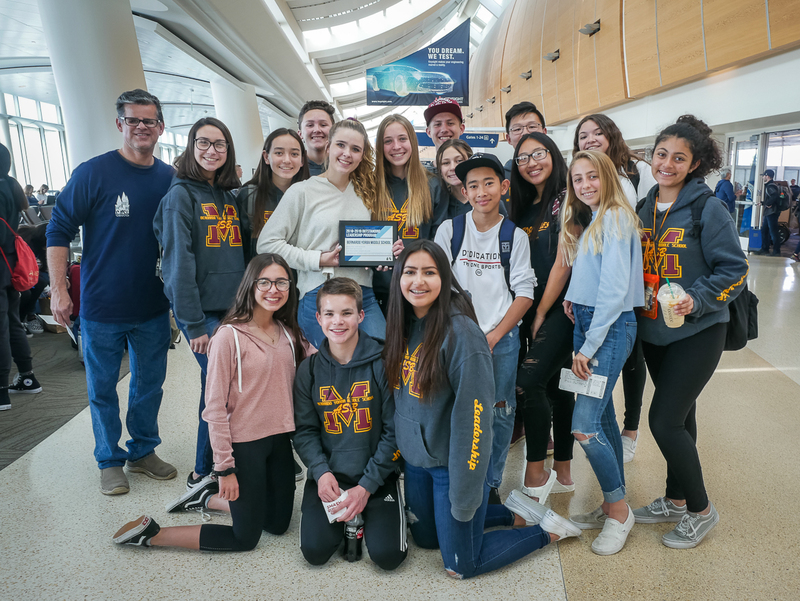 Bernardo Yorba Middle School was represented by 16 stellar Associated Student Body (ASB) students during the annual California Association of Student Leaders (CASL) State Conference. 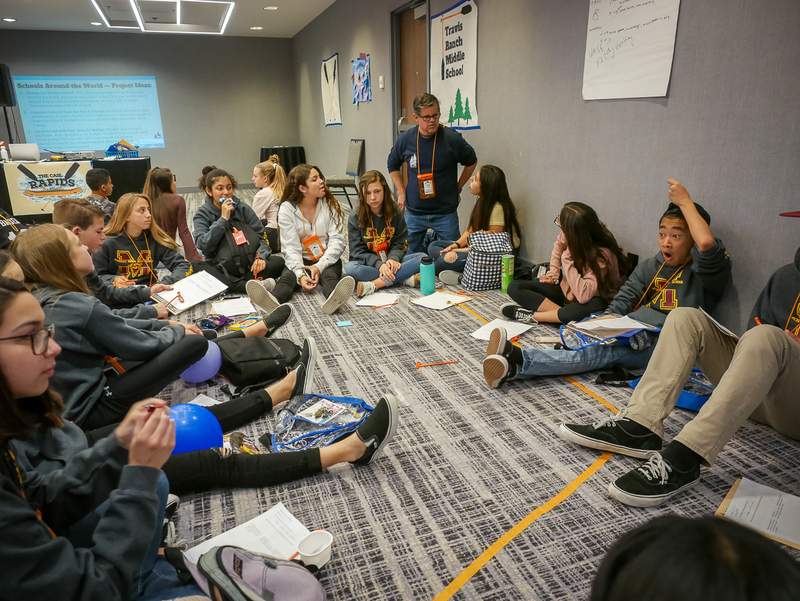 Kayden Goto, Brenden Estell, Ryan Campos, Jake Milligan, Tim Wang, Mikala Enright, Ella Fiore, Emmry Miller, Renata Rodriguez, Cassandra Dement, Bella Hinton, Ryan Oh, Hayley Burke, Madi Ybarra, and Leah Gomez participated in leadership classes and activities from April 4-6, 2019. ASB President, Emmry Miller and ASB Vice President, Renata Rodriguez accepted the Outstanding Leadership Program Award on behalf of BYMS during the closing ceremony of this auspicious event. Way to go, BYMS ASB! Be the first to comment on "Bernardo Yorba ASB students attend leadership conference and earn outstanding program award"